When I first met Disney Legend Marty Sklar, retired Executive Vice President and Ambassador for Walt Disney Imagineering, he sat down to discuss a small portion of his 54-year career working with and for Walt Disney. Marty is now president of his own company, Marty Sklar Creative, Inc., and is one of the founders of and current president of the Board of Directors for the Ryman-Carroll Foundation (now Ryman Arts). Ryman Arts is a foundation created in 1989 as a tribute to fellow Disney Legend and artist Herb Ryman (1910-1989). After the break you can listen to my most recent interview with Marty Sklar discussing the importance and significance of Herb Ryman to the Disney Company, and how Ryman Arts continues his legacy. 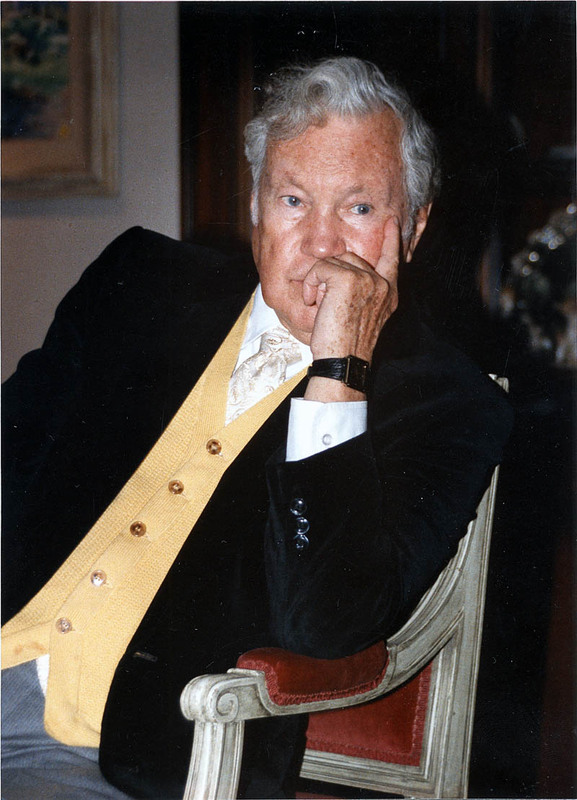 June 28, 1910 – February 10, 1989; photo courtesy of Ryman Arts. Click here to listen to the complete interview where Marty Sklar talks all about his colleague, and friend, Herb Ryman. Every first glimpse Disney fans have had of a Disney theme park from Disneyland to Walt Disney World, to Epcot, to Tokyo Disneyland, and the early drawings for Main Street U.S.A. in EuroDisney (now Disneyland Paris) were drawn by Herb Ryman. Walt Disney felt so strongly about Ryman’s artistic ability to communicate an idea, story, or even a whole park that Herb Ryman was always the one that Walt Disney went to – starting in 1953 when Ryman drew the first overall drawing of Disneyland. 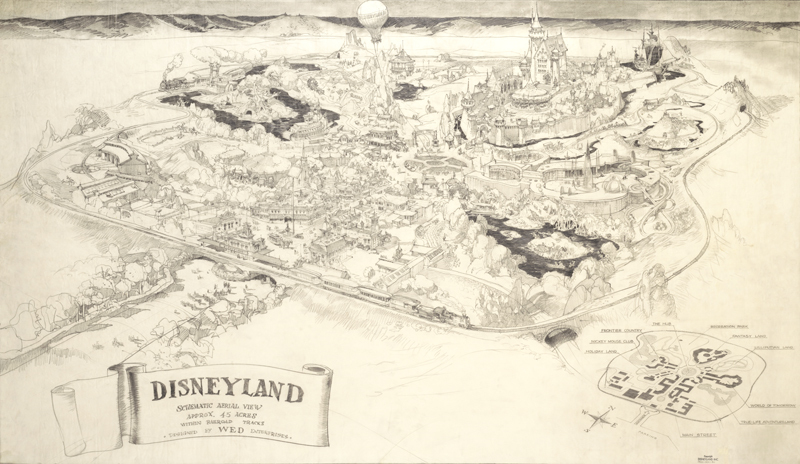 Image: Disneyland, schematic drawn by Herb Ryman September 26 & 27, 1953 under the watchful eye of Walt Disney. Image courtesy of Walt Disney Imagineering. 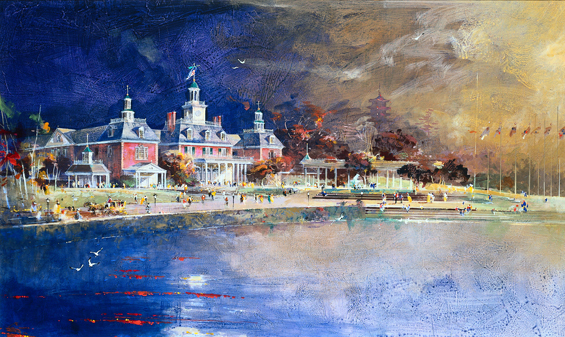 Image: American Adventure, concept painting, Epcot, 1979. Image courtesy of Walt Disney Imagineering. Image: Indiana Jones Adventure, concept painting, Adventureland, Disneyland Park, 1987. Image courtesy of Walt Disney Imagineering. 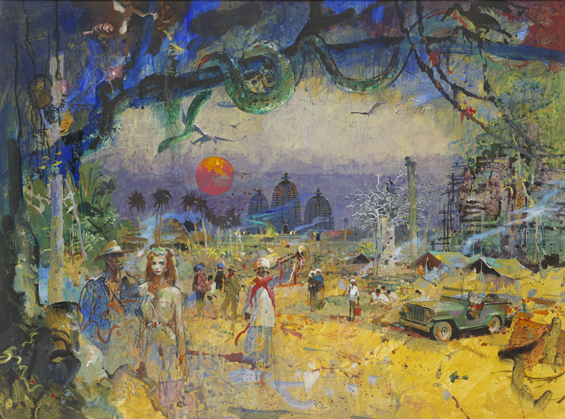 Herb Ryman traveled on numerous odysseys around the world, and travel was an important part of his work and research. These travels began in the 1930’s to Southeast Asia when he developed a love for that region. His travels continued with the Ringling Brother’s Circus for two summers in 1939 and 1940 when the circus still traveled in tents. 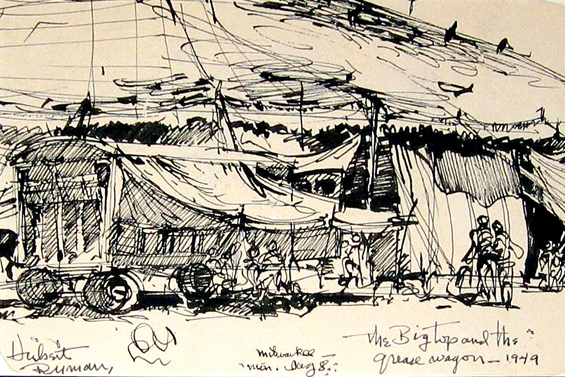 Image: “The Big Top and the Grease Wagon”, 1949, courtesy of Ryman Arts. As previously mentioned, he traveled with Walt Disney and other studio artists on the good will trip to South America, to Japan and France to prepare for the opening of Disney Parks in those countries, and a trip to Africa in the 1980’s on a trip for Imagineering for a proposed Africa pavilion for Epcot. 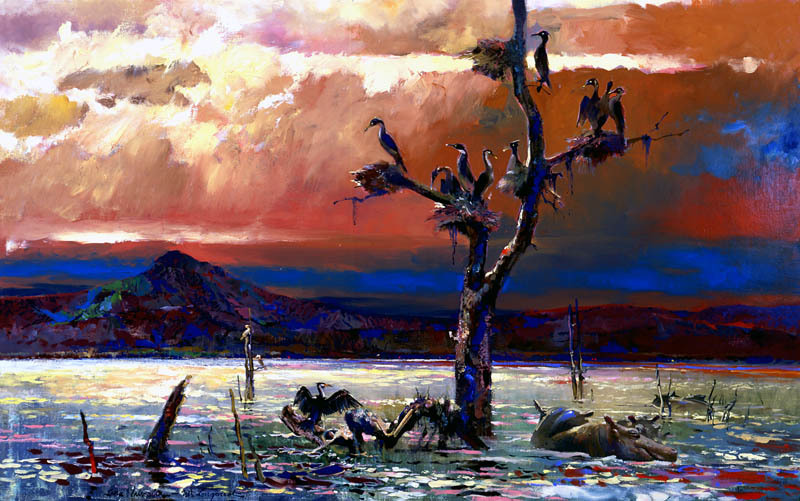 Image: “Cormorant Condominium”, 1983, Kenya’s Mt. Longonot in the background, courtesy of Ryman Arts. 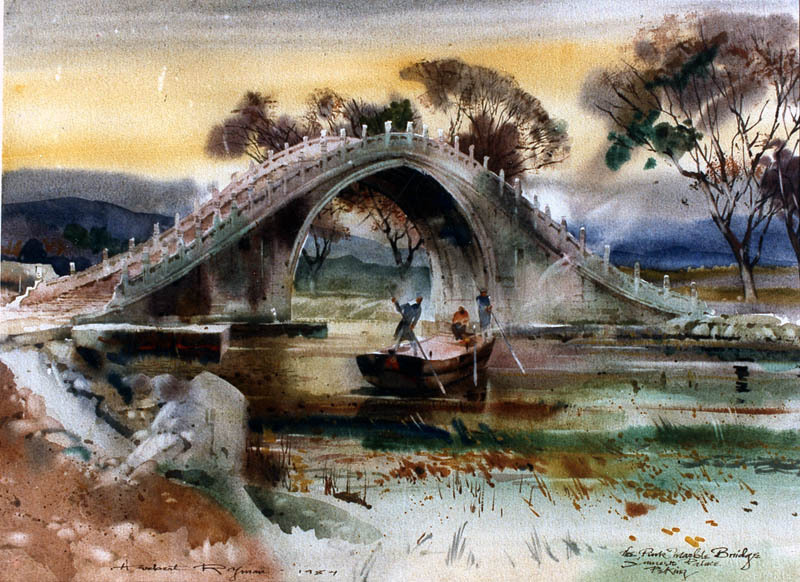 Image: “Pink Marble Bridge”, Summer Palace, Peking, 1983, courtesy of Ryman Arts. 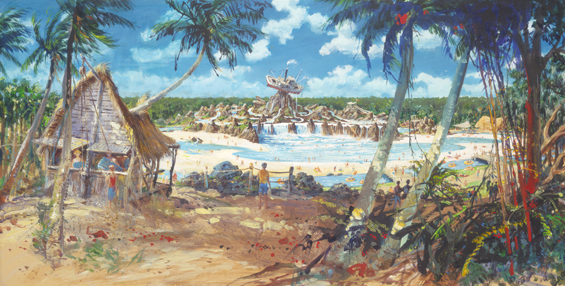 Image: Typhoon Lagoon Water Park, concept painting, Herb Ryman was the secondary artist for this piece. Image courtesy of Walt Disney Imagineering. Marty Sklar insisted that Ryman’s assistance to his fellow artists was always done in a positive way. “He did it to be helpful, and to improve the other artist,” said Sklar. When Herb Ryman passed away February 10, 1989, his friends and colleagues, including Marty Sklar, wanted to create something in his memory. The Ryman Arts program was founded and grew out of their desire to carry on the mentoring tradition of Herb Ryman. As he described the program, Marty Sklar stated, “We’ve had probably 4,000 young people through our program already in 20 years, and we’ve reached out particularly into areas of downtown South Central Los Angeles – very diverse areas. We’ve probably reached another 7,000 students in inner city schools in the Los Angeles area through outreach programs that we’ve had.” Many of these students have obtained positions at Disney, Dreamworks, and in graphic design firms. In fact, the Ryman Arts logo was designed by Wayne Hunt, one of the premier graphic design firms in Southern California, and the specific graphic artist that did the work was a Ryman Arts alumni. Image: California High School students attending a Ryman Arts program. Image courtesy of Ryman Arts. 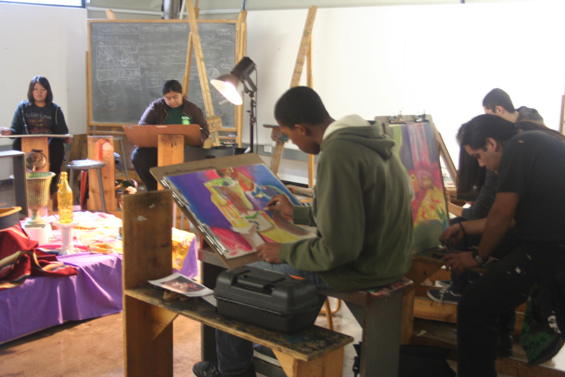 Ryman Arts teaches high school teenagers essential skills for art and life in an entirely free program. It’s an important mission during these turbulent economic times when public school systems are under such intense budget pressures and cutting art and music programs. “We definitely feel a greater burden to make this opportunity available to young people with talent,” remarked Sklar. With this greater burden comes the challenge of financially supporting the program to ensure it remains cost-free for its students. Each year Ryman Arts needs to raise $750,000 to keep the program operating, but this is a good investment in our young artists. Marty Sklar told me 98% of Ryman Arts graduates go on to higher education in art school or traditional university. In addition to supporting their artistic talents, “We give them the foundation skills and we help them develop personally,” Sklar maintained. Marty Sklar then went on to describe another graduate of their program – a young man from Guatemala, who lived in downtown Los Angeles, attended Belmont High School, and spoke no English. His teacher at Belmont recognized his budding artistic ability and recommended him for the Ryman Arts program. He graduated from Ryman Arts and Belmont High School, and earned a scholarship to an art school along the way. When he finished art school he said, “I’m going to be a teacher”, and now he’s back teaching art at Belmont High School. “Makes you feel good. Makes you feel like you’re doing something that makes a difference,” related Marty. 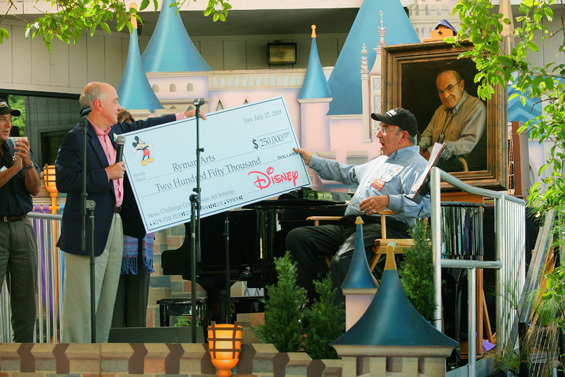 Image: Ed Nowak presents a symbolic Disney “check” to a surprised Marty Sklar during his retirement festivities on July 16, 2009. Image courtesy Walt Disney Imagineering. I asked Marty if there were ways our audience could get directly involved with Ryman Arts. 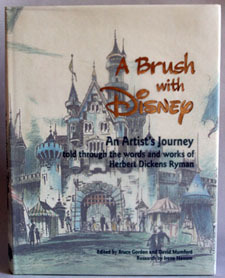 In addition to making direct donations through the Ryman Arts website, he described a book titled “A Brush With Disney: An Artist’s Journey” entirely written in Herb Ryman’s words about his life as an artist at Disney as well as his own non-Disney artwork. The book includes forwards by Roy E. Disney, Harrison “Buzz” Price, Marty Sklar, Andrea Favilli (Principal Favilli Studio), and Lucille Ryman Carroll (Herb Ryman’s sister). Marty Sklar said, “It’s got our personal remarks about Herb Ryman, and then it’s full of wonderful, wonderful illustrations of Herb’s work in his own world and in his Disney world.” In addition, all proceeds from the book go directly to support Ryman Arts program.